I do my best to be led by the Holy Spirit when selecting songs for my congregation, but there have been many times that my personal preference has gotten in the way. I sincerely thought my song selection was spirit-led, but soon found out that it was just something I enjoyed listening to. Maybe you have been there? You know, that time when you were so excited to introduce the new song to your congregation…and then it fell flat. They all just stared at you with a confused look. So how do we as worship leaders know if a specific song is a good fit for our congregation? It would be nice if there was a way to know beforehand, 100% of the time. But, we all make mistakes, so might as well plan for it. Sing the new song for three consecutive weeks. In most cases, you will not know if a song is going to resonate with your congregation until the third consecutive week. Some may hesitate to schedule the same song three weeks in a row, but most listen to the same songs every day on the radio or Pandora. Trust me, they probably won’t even notice. The first week, you will likely get stares…and maybe some smiles. In general, you cannot base whether a song is a good fit or not on the first week. The second week, your avid singers will do their best to sing along, but most will still just sit and take it in. There are songs that reach maximum engagement on the second week (especially if it has a simple, powerful bridge), but this is rare. By the third week, most of the congregation should be singing along with the chorus and bridge. They will still be unsure during the verses, but you will know by this point if a song will ever reach maximum engagement with your congregation. If you’re still getting blank stares on the third week, drop the song. There is no reason to keep singing a song that does not resonate with the congregation. 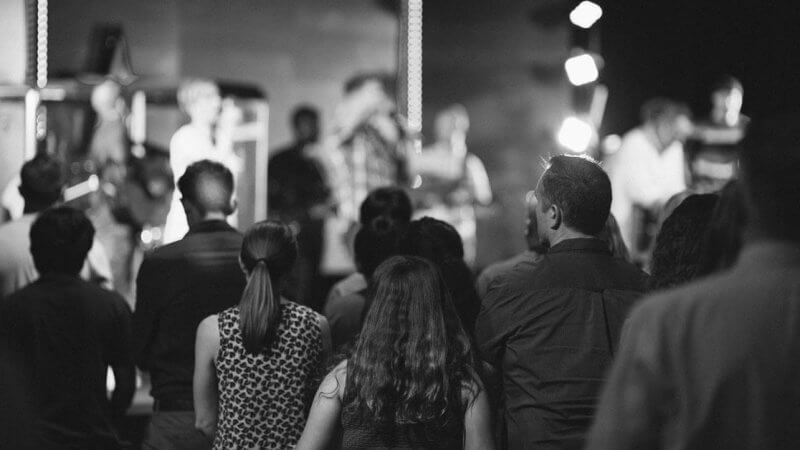 The goal when leading worship should be maximum engagement, not singing your favorite song or ‘wowing’ the congregation with your amazing skill. So, if the congregation isn’t joining in by the third week, drop the song and move on. This can be tough, especially if you have a personal connection to the song, but drop it anyways. There are too many great songs available to get stuck on songs that don’t work. breaking out the cleaver and chopping stuff right off! nailing it, bro! While our church is mostly a traditional hymn singing church, we began singing from our praise book as a “Congregational Introit” a few years ago. We sing the same song for the entire month and I never cease to be amazed that by the end of the month, it sounds like we’ve been singing it for years. I have only had to drop a flopped song once, and it was worth it to let it go. Your comments are absolutely right on the money! Awesome! Thanks for the comment, Patsy. Keep writing!! I truly appreciate your articles. Your website has been a true blessing to me and my team. Thanks so much!! This was a very helpful article for me. I’m a new worship leader and this is simple and makes tons of sense. Love your articles. Thank you for sharing them for the betterment of churches everywhere! Great and very helpful article as mentioned, I have never been in that situation before but as for introducing new songs i would usually ask the holy spirit to take over and use me.